With the wide variety of plugins and a spectrum of hardware emulators that Brainworx has released ever since its foundation back in 1999, surprisingly to date, it has not released a virtual synthesizer. Until now, that is. 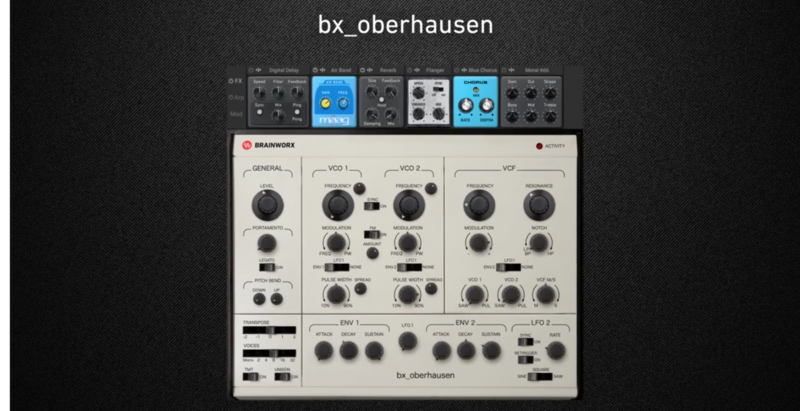 The bx_oberhausen is Brainworxs’ latest release, and it was designed to emulate the classic Oberheim SEM analog synthesizer released back in the 1970s — which has been used by a lot of producers & musicians since its conception. The Brainworx bx_oberhausen was designed specifically with a rich analog tone in mind, and to match the specifications of the original hardware model. This time, however, Brainworx has incorporated a polyphonic component to the virtual model, allowing for up to a whopping 32 voices to be processed at a single time. Additionally, the company has incorporated its TMT feature, allowing the voices to be combined in unison, which in turn allows users to achieve a more vintage analog approach from the output signal. The bx_oberhausen also sets itself apart from other virtual synthesizers with the incorporation of its mid-side (M/S) processing technology allowing users to send a specific amount of the synth’s voices through its filter section, while the rest stand alone, giving a strong presence to the overall bass presence, and giving the output signal an overall stronger stereo presence. Overall, the bx_oberhausen seems to be a solid contender which stands out among the vast majority of virtual synthesizers. With its dedication towards emulating the specific analog integrity of the original unit, combined with its own individuality by incorporating a polyphonic characteristic, we are sure this plugin will prove to be a strong member of the virtual synthesizer family, if not a frontrunner in the very near future. The plugin is now available for download in VST, AAX, AU, and NTS formats at a temporarily discounted price of just $179, or as a free trial from the Plugin Alliance website, although it seems it may move back to its original retail price of $249 fairly soon, so if you’re looking to get your hands on this exciting synthesizer, be sure to act on it quickly before its price shifts up.